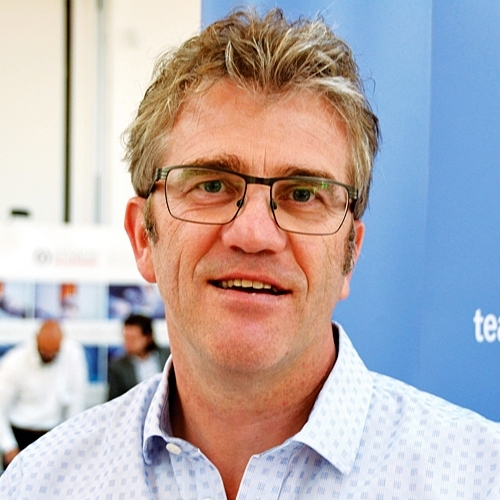 Karel Allegaert received his MD and PhD at the KU Leuven, Belgium where he trained as a pediatrician-neonatologist, with an additional expertise in clinical pharmacology. 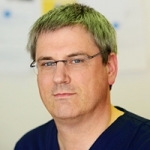 He is professor at the KU Leuven (department of development and regeneration) and is clinical consultant at the pediatric intensive care unit of the Sophia's Children's Hospital, Rotterdam, the Netherlands. 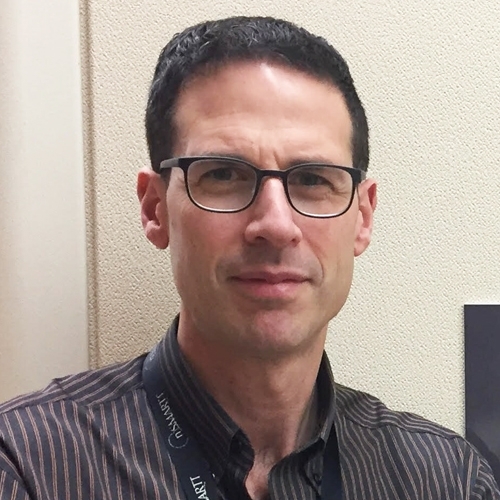 His research is focused on developmental perinatal pharmacology and neonatal and pediatric pain, has been supported by European funding (Albino study), and national grants (FWO, IWT-SBO) and has resulted in about 300 PubMed citations, H index 33. He is member of the Royal Academy of Medicine of Belgium, president of European Society of Developmental Pharmacology and section head clinical pharmacology of the European Society of Pediatric Research. Keira Sorrells is the mother of triplets born at 25 weeks, 5 days gestation. After starting a non-profit, the Zoe Rose Memorial Foundation in 2008, to offer support services to NICU and bereaved families, she became aware that a collective voice for parents of NICU babies was missing in the Maternal and Infant Health community. In response, she helped launch the Preemie Parent Alliance (PPA) in 2012, where she now serves as President. PPA is a national network of 35 NICU parent support organizations that collaborate to represent the needs and best interests of NICU families in a variety of ways. Ms. Sorrells believes a trusting parent-provider relationship is crucial to build a foundation of empowerment and support on which NICU families thrive well beyond discharge, no matter what the ultimate outcome may be. 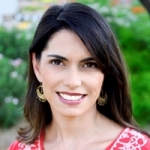 Nancy is an attending Neonatologist with San Diego Neonatology, Inc. and is the Medical Director for Sharp HealthCare Lactation Services in San Diego, CA. She is board-certified in Pediatrics (Univ. of North Carolina, Chapel Hill) and Neonatal-Perinatal Medicine (Univ. of California San Diego) and has been an IBCLC since 1988. She is currently secretary/treasurer and education coordinator for the San Diego County Breastfeeding Coalition, which she helped found. Nancy is the Breastfeeding Coordinator for District IX, Chapter 3 of the American Academy of Pediatrics. 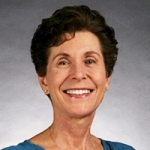 She is a past president of the Academy of Breastfeeding Medicine, and on Board of HMBANA. She reviews research articles for several professional journals. Her book, “Best Medicine: Human Milk in the NICU” was published in July 2008. She was awarded a 2014 Golden Wave Award by the California Breastfeeding Coalition for her efforts to reduce obstacles to breastfeeding in California. The preferred feeding for all NICU infants is human milk, preferably started on day 1. If mother’s own milk is not immediately available, the clinician should consider the use of heat-treated donor human milk (DHM), which has most of the properties of fresh human milk (immunoglobulins, growth and developmental hormones, enzymes, anti-inflammatory factors, etc. ), is sterile, and reduces NEC while improving feeding tolerance. The use of human milk and human milk-derived products has been steadily increasing in world-wide NICUs. In many areas of the USA, it is the standard of care. We will explore the benefits and risks of various donor human milk products, as well as the cost-effectiveness, and challenges for NICUs in using these products. Dr Nathalie Charpak is currently the scientific coordinator and an attending paediatrician at the Kangaroo Mother Care program of the San Ignacio University Hospital. In addition, she is a founding member, senior researcher and director of the “Fundacion Canguro” in Bogotá, Colombia since 1994. Dr Charpak received her M.D. from the “Paris Sud” University and her paediatrician diploma from “Rene Descartes” University in Paris, France. She migrated in 1986 to Colombia where she validated her title as Paediatrician and begin in 1989 to work on the evaluation of the Kangaroo Mother Care (KMC) program. She is now a Colombian citizen. 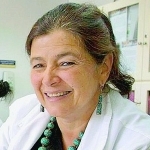 With several colleagues she founded in 1994 the “Fundacion Canguro” in Bogotá, an NGO devoted to research, teaching, training and direct medical care related to KMC method for premature infants that besides conducting large clinical trials on KMC has been actively disseminating the method mainly in low and middle income countries in Latin America, South East Asia, India, Africa and Eastern Europe. In 1996 in Trieste Italy she was among the group of international researchers, physicians and nurses who founded the International Kangaroo Network -INK- an international alliance devoted to collaborating, enhancing and disseminating the KMC method. Dr Charpak continues to work as an attending paediatrician in the KMC program and his current research interest is in integrative methods for summarizing and putting into action what is known about KMC in the form of evidence-based clinical practice guidelines. She is also recently involved as coordinator in conducting evaluations of long term (adolescents and young adults) neurodevelopment outcomes in preterm infants exposed or not exposed to KMC during the neonatal period. The Kangaroo Mother Care (KMC) Method is primarily targeting the preterm and/or LBW infants once they are stabilized and adapted to extra-uterine life. KMC has three mayor components: kangaroo position (KP) or direct skin-to-skin contact between the mother and the baby; the kangaroo nutrition (KN) based on exclusive breastfeeding and the kangaroo discharge policies: early discharge in KP at home or in a KMC ward under strict follow up. KMC is a tool for humanization at all levels of neonatal care. There is sound scientific evidence for the effectiveness and safety of KMC in terms of mortality, early infectious morbidity, development, promotion and maintenance of breastfeeding. Also, there is evidence for the beneficial effects of KMC on establishing healthy bonding between mothers and infants. Many health professionals consider KMC as a means of protecting the immature brain when it is the most fragile and the results of our long term follow up are supporting this hypothesis. Dr. Nils Bergman now calls himself a Public Health Physician, and currently promotes and researches skin-to-skin contact on a fulltime basis. 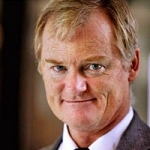 He is a Research Affiliate with the Karolinska Institute, Stockholm Sweden and Honorary Senior Lecturer at the University of Cape Town, South Africa. He is currently involved a a multicentre RCT studying impact on mortality fn immediate skin-to-skin contact on very low birth weight babies. 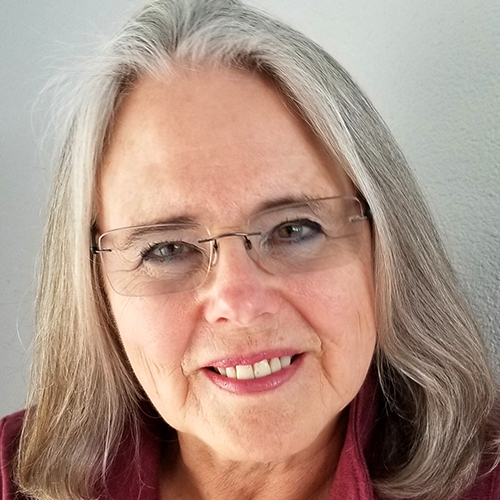 After raising three children as a stay-at-home mother, Dr. Phillips received a Masters degree in Developmental Psychology, became NIDCAP certified as an Infant Developmental Specialist, and then attended medical school at University of California, Davis, graduating in 2004. She completed her pediatric residency and neonatology fellowship at Loma Linda University Children's Hospital in Loma Linda, CA and is currently an attending neonatologist in the NICU at the same hospital as well as Co-Medical Director of Newborn Nursery at Loma Linda University Medical Center-Murrieta. Dr. Phillips is an International Board Certified Lactation Consultant and is a Fellow of the Academy of Breastfeeding Medicine. She is the immediate past president of the National Perinatal Association. Her primary areas of interest are mother-infant attachment, breastfeeding education and support, and Family-Centered Neuroprotective Care of premature infants in the NICU. There is ample evidence that Family-Centered Developmental Care in the NICU results in improved neonatal and neurodevelopmental outcomes, increased family satisfaction and even enhanced employee satisfaction once the culture change has been accomplished. However, implementing the known principles of Family-Centered Developmental Care in the NICU to create those culture changes has long been a challenge. Several models of implementing developmental care have been tried and met with varying challenges and degrees of success. The Seven Neuroprotective Core Measures of Family-Centered Developmental Care in the Neonatal Integrative Developmental Care Model has been trialed in our NICU for the past three years and has proven to be effective as a tool to bring about staff buy-in and engagement in the process of implementing Family-Centered Developmental Care principles into the culture of our NICU. 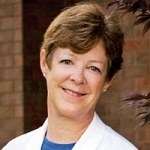 Regina Grazel is a certified perinatal advanced practice nurse with more than 30 years of neonatal nursing experience. She holds several clinical designations, including ANCC board-certified high-risk perinatal nurse, neonatal resuscitation program regional trainer, NANN neonatal developmental care specialist, and certified breastfeeding counselor. 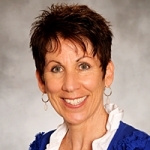 Jean is currently serving on the National Association of Neonatal Nurses (NANN) Board of Directors as the Immediate Past President having completed her term as President in October 2016. Jean is also a former president of the Delaware Valley chapter of NANN. After many years as a Perinatal Clinical Nurse Specialist in the acute care setting, she has moved into the public health arena. Jean is employed by the New Jersey Chapter of the American Academy of Pediatrics as the Program Director for the New Jersey Department of Health Critical Congenital Heart Defects Screening Program and Zika Infant Surveillance. This presentation will review the background and importance of newborn screening with pulse oximetry to aid in the early detection of critical congenital heart defects and other serious conditions. Factors influencing implementation of the screening including legislation, advocacy efforts and recommendations by professional medical associations will be covered. Best practices for performing the screening will be reviewed as well as implications for screening in the NICU and other special populations. The results of the first statewide screening program implemented in the US will be shared to demonstrate the unique contribution of pulse oximetry in the detection of previously unrecognized CCHD.